When was the last time you were in a heated argument with tempers flaring and things getting out of control? If you cannot recall a specific event, just turn on a local, national, or global news program to see plenty of examples! Rarely do such interactions result in win/win outcomes. Most of the time, we are left with win/lose or lose/lose results. 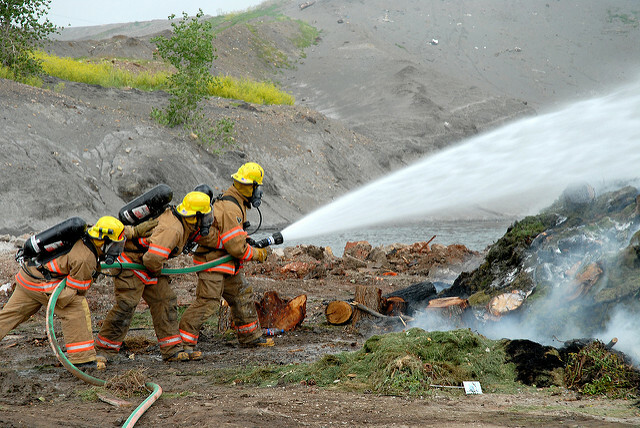 When we consider how to put out undesirable fires, all we need to do is take a bit of coaching from professional fire-fighters: use water to reduce the temperature of burning materials and extinguish the flame. What new and more constructive ways of dealing with heated situations can you find to produce a better result for everyone involved? This entry was posted in Action, Adaptation, Behavior and tagged Action, adaptation, Barry Demp, behavior, Demp Coaching, The Quotable Coach by Barry. Bookmark the permalink.